Perfect for anyone that doesn't like to sacrifice, the 558 is compatible with Gen 1-3 night vision devices and features an adjustable, locking, QD mount for instant removal. 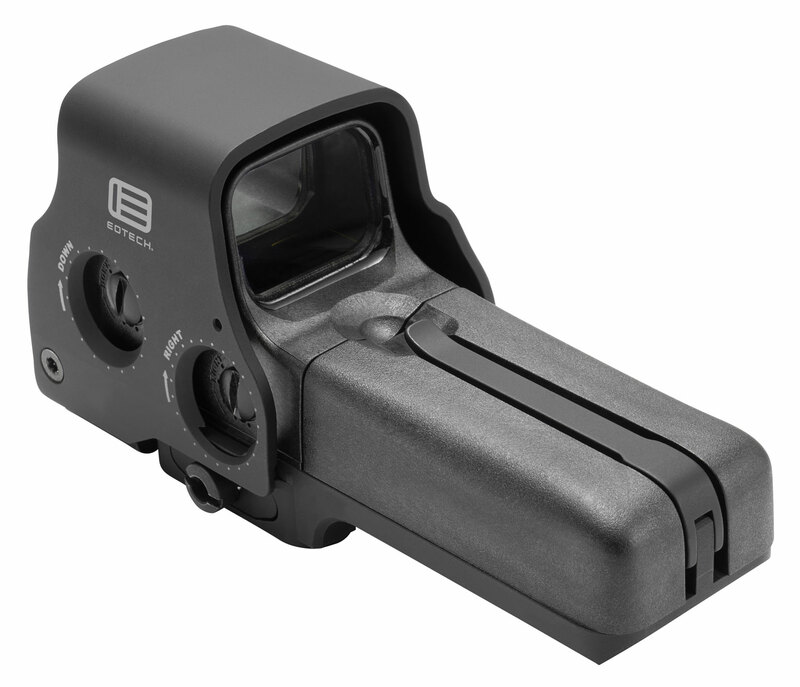 The operational buttons are located on the side of the sight, making this optic ideal for use with EOTech switch-to-side magnifiers. The drop-in replacement Laser Battery Caps (LBC and LBC2) are designed to work with this model as well, increasing your aiming capabilities and speed to target all day and night long.